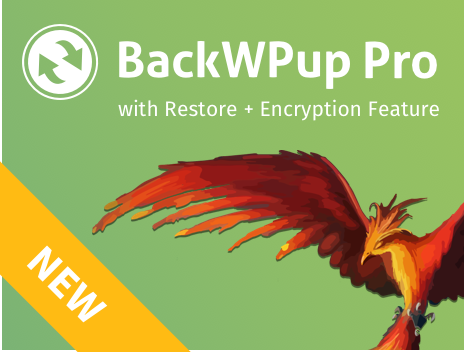 then BackWPup has found a so-called “symlink” and will exclude it from the backup to prevent problems. The inclusion of symlinks in your backup could result in an endless loop. Symlinks are not real directories; they are merely references to a directory located elsewhere. Find out more about symlinks here. a) manually exclude the directory indicated in the warning from the backup if a backup of this directory is not mandatory (which would be the case for e.g. the log directory). Go to BackWPup → Jobs via the backend, select the relevant Job and click the tab Files. There you will find various options for excluding files. Important: The tab “Files” will only be visible if you have previously indicated a backup of the files in the tab “General”. and b) include the actual folder in the backup if you need to back up the directory. The relevant settings are available in the tab Files → Extra folders to backup, where you specify the absolute path of the directory for backup. Determining the actual folder is an advanced topic. Please contact your hosting provider if you don’t know how to do that.